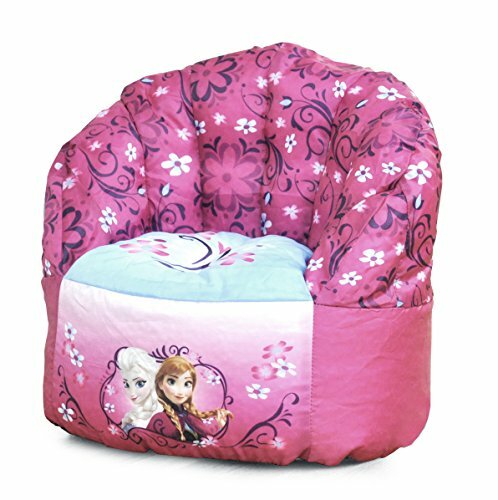 Brighten your child's room with the Disney Toddler Bean Bag Chair. With its soft bean filling, it is a soft and comfy seat ideal for reading, playing games, and relaxing. It is lightweight - easy to move from room to room. The nylon fabrication is spot clean only. Ideal for 1-4 years of age. Dimensions: 19" H x 14" W x 18"L.
Colorful Anna and Elsa graphics from Disney's Frozen! Playful toddler seating option - perfect for reading, playing, and relaxing!